Oliver and Childress Farm is recognized for their exceptional production numbers and performance. Oliver and Childress is a 156-acre farm on New Hope Road in Paducah, Kentucky, which produces seven flocks of broilers per year. Each flock ranges between 28,500 and 31,000 chickens. Broilers are the chickens farmers raise for consumption in the marketplace. Each flock is raised for approximately 34 days, into maturity, until they weigh about four pounds each. Broiler farmers monitor the feed lines, water lines, temperature and lighting to provide the optimal environment for the healthiest, happiest chickens. Though he’s one of the nicest guys he’s ever met, Shelton says Childress can get pretty competitive about farming. Because the broiler growers are in competition with each other to produce the best chickens — determined by how much feed it takes to grow the largest, healthiest chickens — Childress has a monetary incentive to stay on top. But even if he makes more money than other chicken growers by taking second or third place in the weekly contest, Shelton has seen him get pretty upset. “He likes to be number one,” says Shelton. 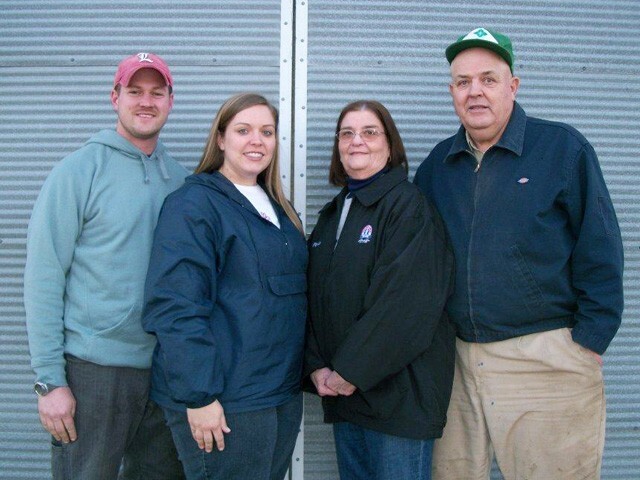 Oliver and Childress is truly a family farm, now in its third generation. Carrel’s parents, Hubbert and Hazel Childress, bought 108 acres, where the two chicken houses currently sit, around the Christmas of 1950. Carrel and his wife, Phyllis, bought the farm from Hubbert and Hazel in 1972. Carrel and Phyllis had already purchased a nearby 48-acre farm in 1962, where they ran a herd of cattle, and the purchase expanded the farm to its current size of 156 acres. “I just always loved to follow my daddy and he was milking cows when I was born. They had a herd and he was milking by hand. We separated the cream and sold cream and fed the skim milk to the hogs. Later, Daddy finally bought a milking machine and then we added hay and corn. I got my State Farmer Degree in Agriculture in 1960 and graduated from the Future Farmers of America in high school. When I got out of school, jobs weren’t real plentiful. I looked at going to into public work and applied for some jobs. I guess all the time I felt like I really wanted to farm, so I just continued to farm,” remembers Childress. The Childress couple had two girls 16 years apart, Renza and Ronza. Renza married and raised two boys on a couple of acres on one corner of the farm. Her boys followed Carrel around the farm as they grew up, often working side-by-side bailing hay and taking care of the chickens. Ronza married James Oliver (of Oliver and Childress) in 2008; James had been helping on the farm since 2004. Oliver officially began leasing the chicken houses last year. The Olivers also own a 45-acre farm up the road where they grow field crops and run cattle. Ronza is a field tech for Pilgrim’s and Oliver is an electrician with the local union on the side. “I loved it all. I was raised up in it. Both of my grandfathers, they farmed. I’ve been in it from day one and I just can’t really imagine having to go to work staying in one place and doing the same thing in the same way every day. I don’t know if I could handle it or not. We’re diversified and did a lot of things and that just suited me,” Childress says of his lifelong love affair with farming.